This entry was posted in Vinyl Siding Replacements and tagged Vinyl Siding Vinyl Siding Colors Vinyl Siding Types on August 7, 2014 by Jake Sponseller. You spend so much time worrying about the interior of your home. You want the nicest furniture, the newest technology and even the best appliances. Do you ever stop to worry about the outside of your home though? Your homes siding is a big part of homes curb appeal. Sure, having those professional landscapers come in once a month is great, but why have a nice lawn if your not going to worry about your actual house! Sometimes doing simple maintenance on your homes siding can pro long its lifespan and even make it look better. The fact is though, someday it’s going to need replaced. The good news is, after reading this you will have a better idea of how to handle that situation when the time comes. 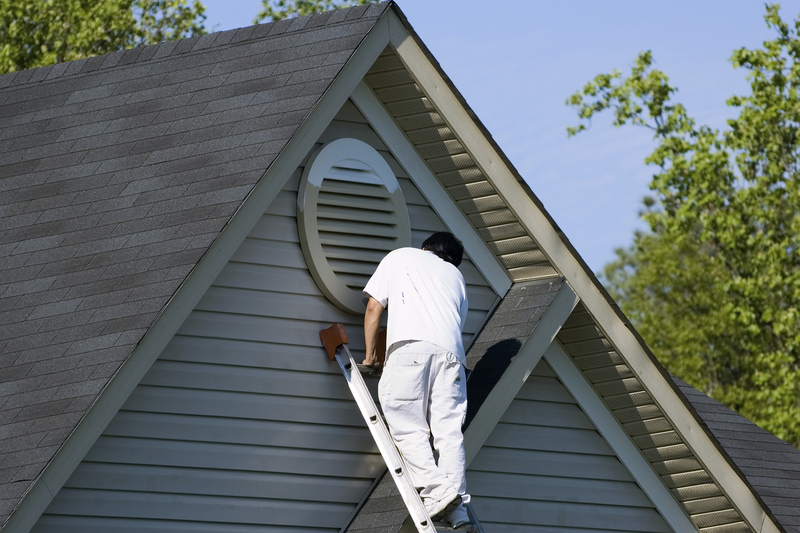 You could save yourself a lot of time and money by doing some simple maintenance to the exterior of your home. Sometimes doing small things such as power washing or touching up some paint will pro long the lifespan of your homes siding. You need to be careful when power washing vinyl siding though. If not careful when power washing vinyl you could possibly damage it. Hiring a power washing professional may be your best option. They will know how to properly power wash your vinyl without damaging it. Touching up your sidings trim with some new paint is also a good tip to bring your house back to life. Little things that may go unnoticed to you might not slip the eye of your guest. Touching up your homes siding once every year or two may just be beneficial to you. Like I said before though, unless you have some true brick or stone siding, it’s not going to last forever. There may come a time when it needs to be replaced, but how will you know when? Vinyl has become the most popular form of siding in the world. It’s low cost and long lifespan make it a favorite among homeowners. Certain factors come into play when determining how long your vinyl will last though. One of the biggest concerns with vinyl is its vulnerability to high winds. High winds will work their way at the seams and eventually pull the panels away from your home. Once your vinyl bends it cannot be reformed and that panel must be replaced. Also over time, fluctuating temperatures will cause your vinyl to grow brittle. That’s okay though. Nothing lasts forever! So maybe upon your yearly inspection of your siding you find that you not only have some bent panels, but at certain spots you are seeing some cracks as well. This might be a good time to start thinking about replacing your vinyl siding. What are some things to keep in mind when you finally do decide to replace it though? You need to establish how much you are willing pay for your siding. There are tons of different vinyl colors and types. Like anything else they all have different prices. While thicker vinyl types may last longer and require less maintenance, they are also more expensive. Before going to look for siding, think about a budget and how much you are looking to pay before you go falling in love with vinyl that is out of your price range. The second thing to think about is what type of vinyl siding you want to choose. There are four major types of vinyl siding. They are seamless, solid core, log or shake vinyl siding. When choosing which style you want you need to think about how much maintenance you are willing to do. 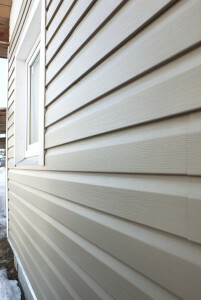 While vinyl shake siding appears like real cedar shakes, it requires more maintenance than the other types. One of the most popular types is the solid core. Solid core vinyl siding requires very little maintenance and contains a solid core that makes it lay flat on the outside of the home unlike regular seamless vinyl siding. It also has better insulation properties due to the fact it creates a solid wall around your home that reduces air infiltration and helps block outside noise. Solid core vinyl siding is also less vulnerable to damage from flying stones or even hail. All types come in 100’s of different colors so you really just need to decide which type best suites you. Like I said before, you’re going to need to choose one of the many colors vinyl siding comes in. After all, you’re the one who’s going to have to look at it everyday. Choose a color that you’re going to be happy with for many years to come. One of the best ways to choose a color is to just take a stroll through your neighborhood. Some people like to be different, but for the most part a lot of the homes in your neighborhood might follow similar color trends. Another thing to keep in mind is if you plan on selling your home in the future, an odd color or pattern may affect the property value. If this is a home you plan on living in the rest of your life then you should really choose whatever makes you happy. Now that you’ve went out and picked your style and color it’s time to have it installed. The majority of homeowners will have a contractor come out and do the installation for them. After that there’s really nothing you need to do. The contractor will do the rest of the work and all you need to do is establish a start date and times you would like them to show up. Once the siding is installed you’re done! Sit back and relax and enjoy your new investment. ← Kitchen BackSplashes & Why You Need One!